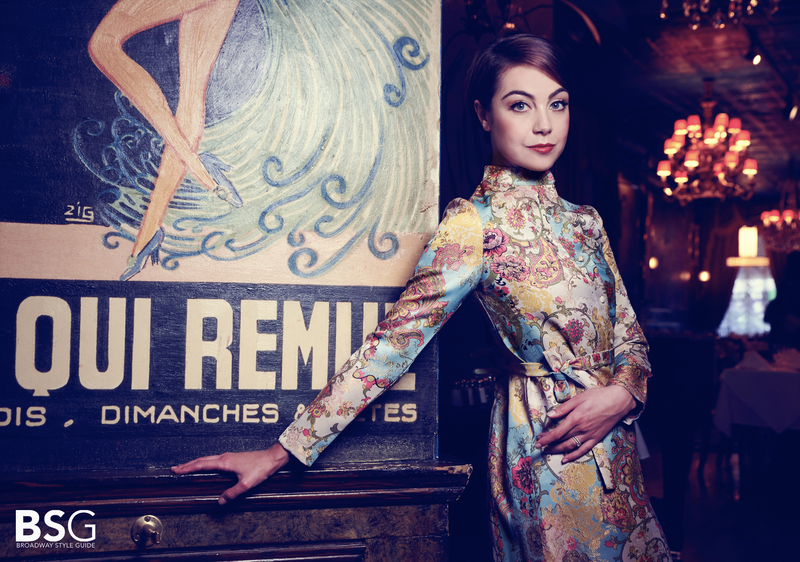 Currently starring in the stunning An American In Paris, Leanne Cope is the ballet dancer that everyone’s watching. Playing the troubled Parisian performer Lise, she seems to have the ability to make the entire Dominion theatre fall in love. With the story, with Paris, with ballet and you’re likely to leave a little bit in love with her too. It’s no mean feat but one she accomplishes easily. To get to know Leanne and her work a little better, we take a closer look. Leanne grew up in Bath, where she first began studying at The Dorothy Coleborn School of Dance. She went on to study further with the Royal Ballet School, joining the full company upon her graduation in 2003. In 2009, Leanne was named First Artist of the company, which speaks clearly to her hard work, talent and dedication. After all, the toll ballet can take on a dancer is no secret – strict regimes and hours and hours of rehearsals for a very physically demanding discipline takes a great deal of strength to handle. Leanne struggled at first, believing that she wasn’t right body type for ballet, telling the Timeout, “I think I’m a late bloomer. A ballet teacher told my parents that. I struggled at the Royal Ballet School, because I’m not physically that right for ballet. I barely have a plié, my Achilles is so short. My hamstrings are very tight. I just kept going because I loved it. I’m thinking maybe she was right. I am a late bloomer. I’m doing the thing I was supposed to be doing.” Despite these ‘flaws’, real or perceived, it hasn’t stopped Leanne from becoming a star of the genre and of musical theatre. Although it was an unexpected journey. She made it through to audition in New York with her future co-star Robert Fairchild, the principal dancer at the New York City Ballet. They would both get to experience a real taste of Parisian life before Broadway when the show opened in the real Paris. Actually being in the City of Light really helped Leanne get into her character, as she described to Broadway World, “To do An American in Paris, in Paris, I mean this was my first experience in musical theatre, so I was like, ‘Oh, maybe it’s always like this. Maybe Oklahoma always previews in Oklahoma!’ [laughing] But it was my first experience, and especially to be playing one of the few French characters in the show, because most of the leading men are Americans, Max [Von Essen] of course plays a frenchmen, but to be playing a french lady in France was very daunting, but it was the best research there could possibly be. Living in Paris, I tried everyday to sit in the cafes and watch the french women, because they are very unique, their confidence and their sexuality, which I wanted to try to find with ‘Lise’, so that was wonderful research. For Robert and Leanne, the French grand opening was the start of an incredible journey. An American In Paris earned them both Tony nominations for the Best Actor/Actress in a Musical categories. The show’s beauty, drama and of course dance, got the world’s attention, pulling Leanne into the limelight of the musical theatre world. The pair’s chemistry and the epic, sweeping romance of the show captured the hearts of audiences instantly. However in her private life, a love story had been building for Leanne that’s every bit as dreamy as her character’s. Aged 9, she won first place in a dancing heat and even has a photograph of her holding her trophy. Also in the picture, holding his own trophy, is a boy named Paul, who had won the boys heat. In 2014, the pair were married, having danced and worked together for many years since that first photograph was taken. And the proposal? Something out of a fairytale. They were dancing a duet in a production of The Nutcracker, something they’d done many times before, but on this night, on a note his character gives to hers, Paul had written, ‘Will you marry me?‘ Maintaining her composure, Leanne continued the dance (something many of us wouldn’t have dreamed of doing) and after the show, Paul presented her with a ring and got down one knee in front of the rest of the company. A night at the ballet can make for a romantic evening at the theatre for the audience, but on this night, it was Leanne and Paul who had them all beat. Her hard work and dedication, even in the face of harsh critiques in a tough discipline like ballet, is on display every week when Leanne performs on the stage of the Dominion, one of London’s largest theatres. Her story is a testament to years of training and preparation, proving it can pay off, lead you in unexpected directions and even take you across the world. You can see Leanne in An American In Paris for £20 with exclusive Rush tickets.